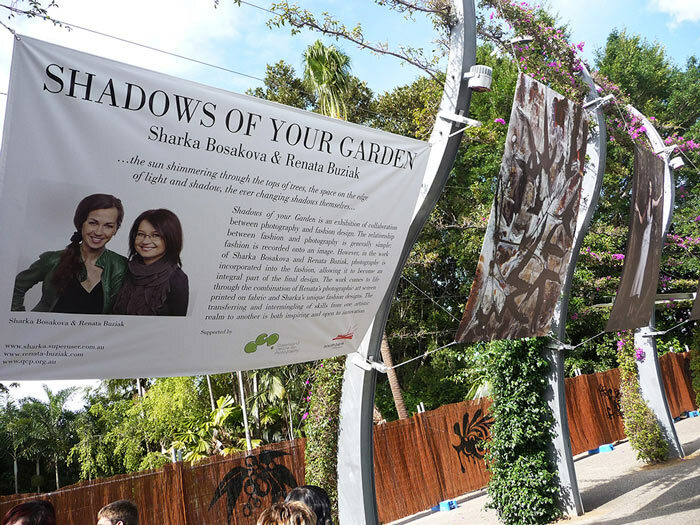 Shadows of Your Garden at the Mercedes Benz Fashion Festival 2011 Cultural Forecourt, South Bank Qld, 23 August. Shadows of Your Garden at the The Arbour, the Parklands, South Bank Mercedes Bens Fashion Festival 2010 July-August 2010. It is a collaborative project between Sharka Bosakova a fashion designer and myself: Biochrome images, with involvement and great support of our friends and colleagues: Under the House of Art - Jacek Rybiński, Piotr Brańczyk, Marek & Iza Wojciechowski … - Thank you everyone!!!! Special thanks to the models: Amber Greasley, Lauren Sheepers, Sarah Covington, Chelsea Graver, Lauren Scheepers, Grace May, Lucy Thompson, Anouchka Forey, Chloe Butler. 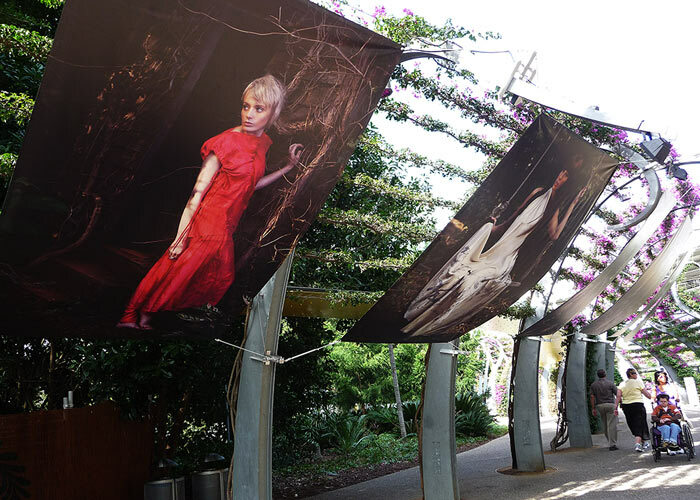 Shadows of Your Garden is an exhibition of collaboration between the fields of photography and fashion design. 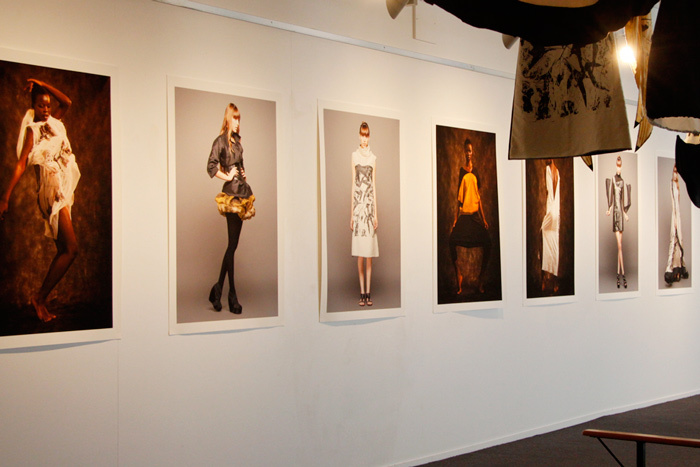 The relationship between fashion and photography is generally simple: fashion is recorded onto an image. 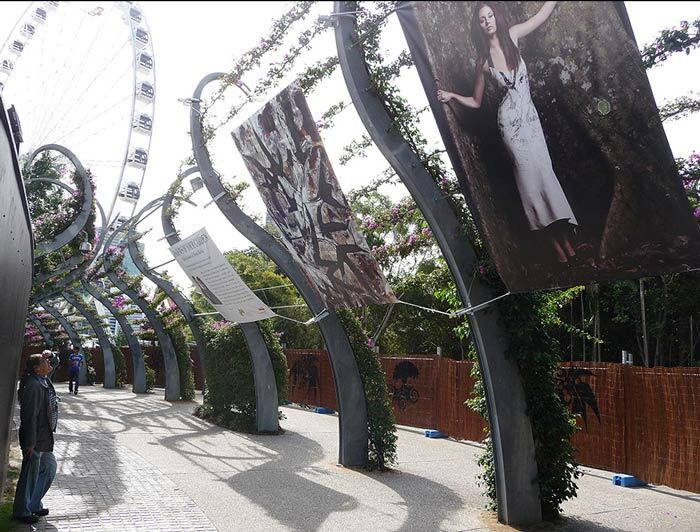 However, in the work of Sharka Bosakova and Renata Buziak, photography is incorporated into the fashion, allowing it to become an integral part of the final design. 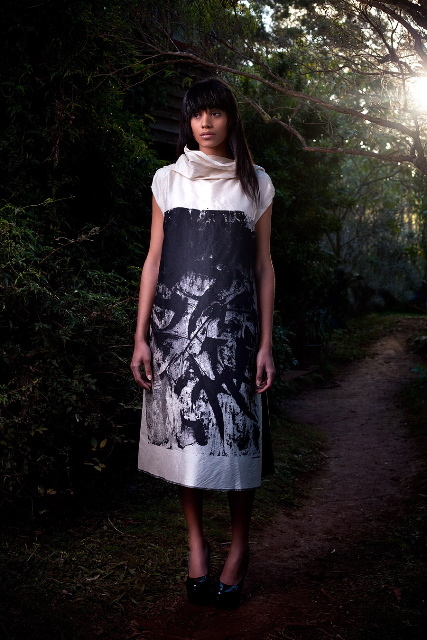 The work comes to life through the combination of Renata’s photographic art transferred to screen printing and Sharka’s unique fashion designs. The transferring and intermingling of skills from one artistic realm to another is both inspiring and open to innovation. The work has grown out of the principal theme of the cycle of life - death and renewal. 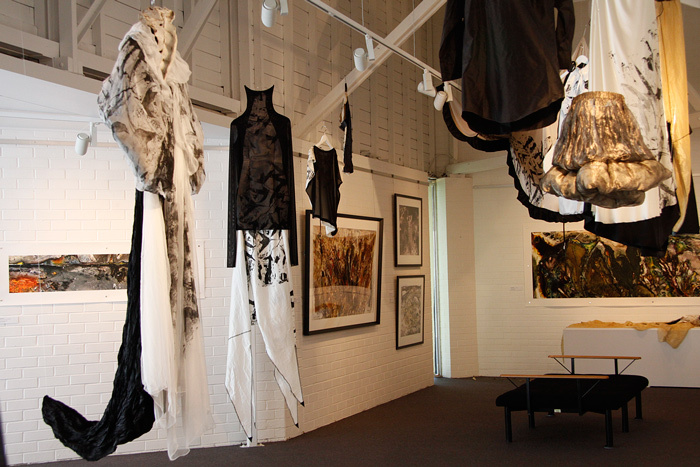 The artistic process began with both artists’ keen fascination with nature and its creative and transformative elements as well as their interest in art and fashion. In a fusion of diverse art forms and a traditional hand screen printing technique they seek to expose the hidden microcosm materialised in the form of printed Biochrome images. The work reflects the beauty and fragility of the underlying fabric of our ecosystem and the ever pressing need for ecological sustainability. Through her photographic art Renata discovered how to utilise organic processes, which led her to establishing an unusual photographic process called the Biochrome. This process focuses on organic decomposition and its effects on photographic materials. The metabolic activities of myriad microbes are the main protagonists of this process. Reflecting the natural processes of our environment stimulates an appreciation of the natural world; its beauty, and its infinite creative potential.